Go maximum effort on every play. 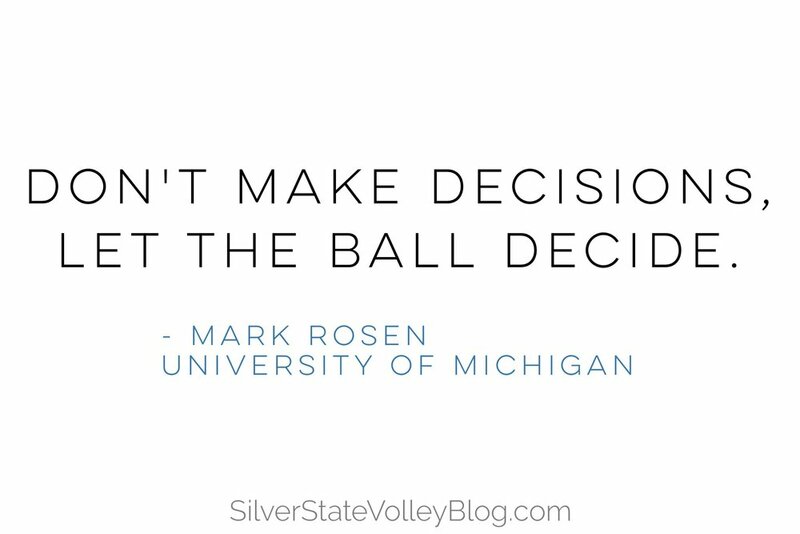 When you make a decision you limit your goal, you are not going to get some balls you could have gotten. Coming off a National Championship season, this is what Cook’s challenge to his seniors became. Known as the Usain Bolt-Like Mentality, you break a World Record and come back to take off another second. Accept that there is a learning curve at every level. There is no fast forward button even in practice to simulate what it is like for games. Trust that you will struggle at first and that you will improve.